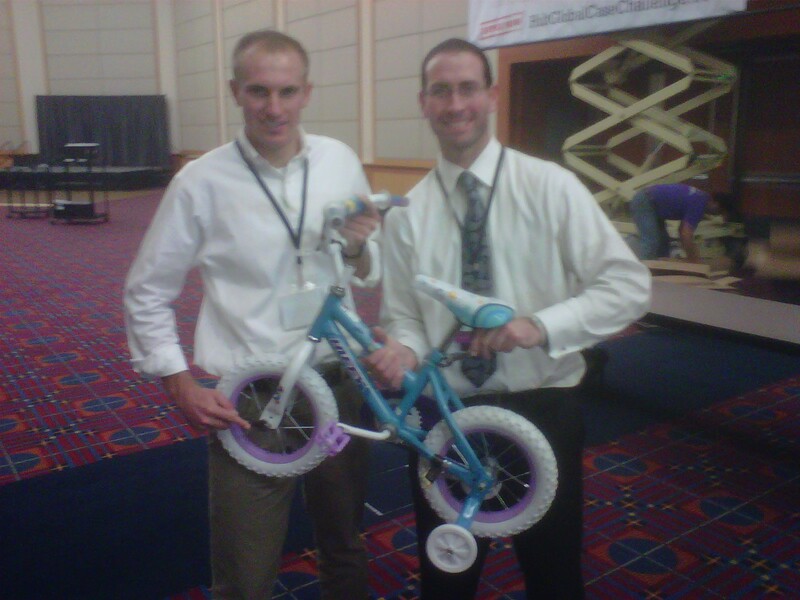 Fellow Net Impact Member and I participated in the Intel “Build a Bike” program at The Net Impact Conference, building these tiny bikes and donating them to local kids. It was gr8 to give back and start the next generation of CarFree people! This entry was posted in Bike commute, Urban Bike and tagged Build a bike, Intel, Net Impact. Bookmark the permalink.